Capital Sound may have been working with Il Divo since the group set out 12 years ago, but they showed on the latest ‘Amor & Pasion’ tour that they are unafraid to deploy new sound equipment to enhance the performance further. The multi-platinum selling artists were the first ‘classical crossover’ act to top the US Billboard 200 and in 2006 the Guinness Book of World Records listed them as the most commercially successful group of their kind in international music history, with nine album releases since 2003. 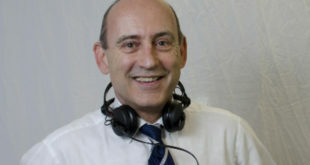 Having recently acquired and configured a new stacks and processing package involving Powersoft’s flagship X series amplification to complement the Outline GTO line array, Capital’s system designer Robin Conway has made an immediate breakthrough by configuring the six networked Powersoft X8 amp racks to drive not only the FOH system but also the monitor setup. 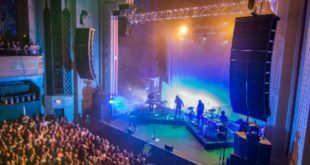 The project is also the first major tour for which the Wimbledon-based audio company is using its new Outline GTO C-12 system, covering arena shows throughout the UK, Europe and Scandinavia. According to Conway, the flexibility of the six touring amp racks – each containing three X8s – has enabled them to cut down on real estate dramatically, while delivering just under one megawatt of sound in total. Configured with Audinate’s RU-NL4 Dante distribution network, and coupled with Powersoft’s Armonía Pro Audio Suite for advanced monitoring and remote control, Conway believes this is the way forward as it also represents a considerable saving on truck space. “Rather than assign half the amps to monitors and half to FOH we were able to bring them together and share the amp racks. The racks enabled us to drive the eight mixes of wedges, side fills and the full array,” he explains. 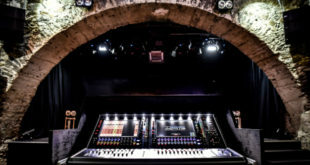 Positioned up in the rig, the X8s could drive the wedge monitors from the Digico SD10 mixing desk via AES into the stage left amp racks and over Dante to the amp racks distributing the signal to stage right – a maneouvre requiring just one connection from the monitors to the amp racks. “It was a real bonus to be able to create a Dante path from any physical input on the amp itself, whether analogue or AES, since by bringing all these feeds from the same location we have been able to lose multiple amp racks,” adds Conway. 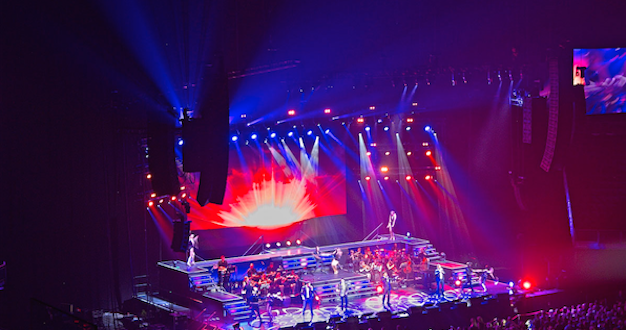 With Matteo Cifelli mixing at FOH, Mark Buckley on monitors and Micky Griffiths system teching, the setup was deployed for the first time with Il Divo – and it won’t be the last. “We are constantly looking to maximise our infrastructure for best use and we certainly achieved that with this integrated setup,” remarks Conway. In terms of the PA design, the main hangs comprised 12 Outline GTO C-12 (plus downfill) per side, with eight GTO (plus downfill) as sidefills. 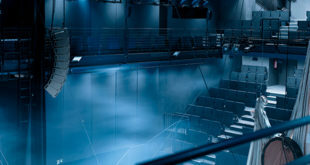 Four GTO subs were flown behind the main hangs on each side with eight GTO subs on the ground – all in cardioid pattern. The setup also included eight lip fills, near fills, 12 stage wedges and Mantas28 flown ?stage sidefills. Armonia was deployed to implement the integration. “This is a great piece of excellently designed software in its ability to offer advanced control,” Conway believes. “Powersoft could simply not have not bothered with this attention to detail.